The disturbing increase in gay bullying and youth suicides may have parents worried about depression and suicidal thoughts and behaviors in children. Learn which signs to look out for and get help, if needed. Bullying, in general, is broadly defined as being repeatedly exposed over time to the intentional negative actions of one or more people. These negative actions are typically direct insults, threats, or physical violence. Cyberbullying, a form of indirect bullying, may also occur. This is when a bully harasses someone anonymously online. Gay bullying is typically directed at youths who are lesbian, gay, bisexual or transgendered (LGBT) or who are questioning their sexual identity. In addition to the common forms of bullying, gay bullying may also include sexual harassment and assault. Some research sadly indicates that more than 80 percent of LGBT people have reported experiencing homophobic bullying in their lifetime. 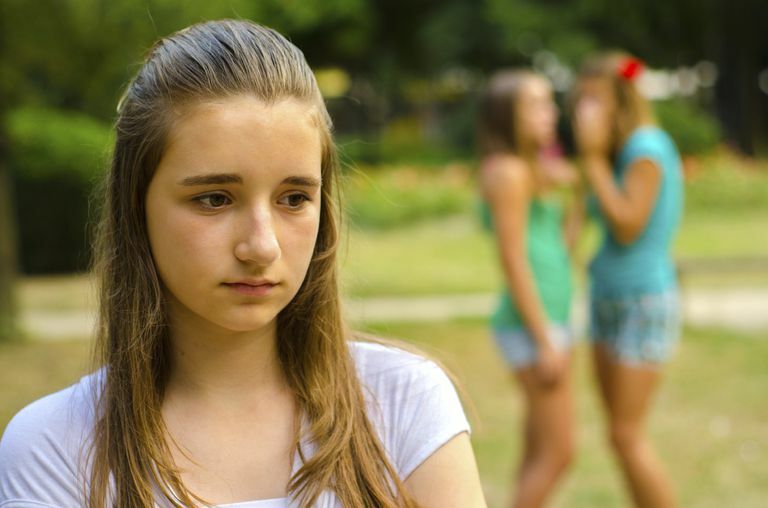 There is a range of consequences associated with bullying in general, which may include a negative impact on self-esteem, feelings of isolation, symptoms of depression or suicidal thoughts or actions. However, it is important to remember that not all victims of bullying will experience serious negative consequences. Some research has suggested that the effects of bullying on LGBT and questioning youth may be complicated by additional factors. During adolescence, children are striving to establish an identity separate from their families. A rite of passage for this time is to form romantic relationships. Unfortunately, some LGBT and questioning children do not receive needed support or approval from their peers or family to establish these relationships, and in turn a sexual identity. This lack of social and familial support, combined with homophobic bullying, may actually increase the likelihood of depression and or suicidal thoughts or behaviors. Additionally, bullied LGBT and questioning students who felt their school was less accepting of diversity and did not enjoy going to school also had higher rates of alcohol and marijuana use, as well as depressive and suicidal feelings. These findings highlight the importance of family and peer support and a school's promotion of diversity and intolerance for bullying. Support Your Child. As mentioned earlier, LGBT and questioning youth with supportive parents are less likely to be impacted negatively by homophobic bullying. In general, children with family and social support are less likely to feel isolated and lonely. Speak to your child about his or her feelings, and verbalize that you are behind them all the way. Intervene Productively. Expose homophobic bullying in a productive way. This means reaching out to community resources for help. A parent may suggest or volunteer to bring anti-bullying and diversity tolerance programs to the school's curriculum. Have Your Child Assessed and Treated for Depression. If you think that your child is depressed or suicidal, have him assessed by his pediatrician or other mental health care provider. Treatment is the best option for recovery. Symptoms like academic decline, loss of interest in areas of former interest, social withdrawal, changes in sleep and appetite, unexplained/vague physical symptoms, or unexplained excessive crying may be symptoms of depression. Dorothy L. Espelage, Steven R. Aragon, and Michelle Birkett. "Homophobic Teasing, Psychological Outcomes, and Sexual Orientation Among High School Students: What Influence Do Parents and Schools Have?" Psychology Review. 2008 37(2): 202-216. Gregory Greene, Ph.D. "Bullying and Concern for Survival." Education 128(2): 333-337. Personal correspondence with James Kelleher, M.A., L.P.C. From Within Therapy. http://www.fwitherapy.com October 14, 2010.